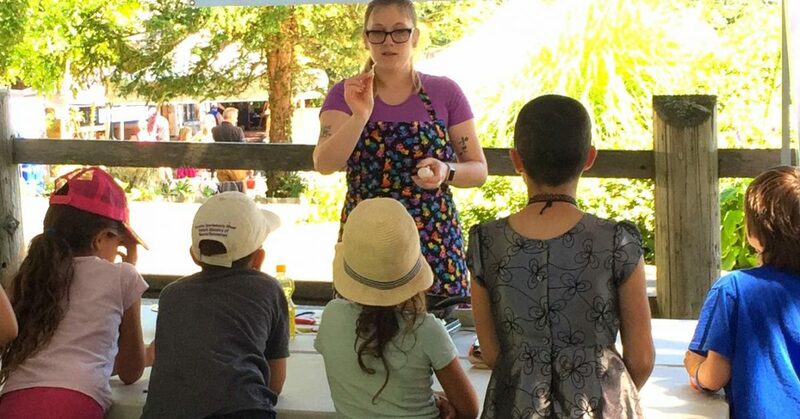 2018 Kids Cooking Classes sparked such creativity, we’ve added a whole new way for kids to participate in the Festival! Step aside seasoned chefs, it’s time for the next crop of aspiring chefs to test their culinary chops! Parents, Grandparents, Aunties and Uncles! Does a young person you know love to cook? Get your young culinary masters ready to test their awesome kitchen skills and creativity, and to compete to win an amazing $1,000 RESP contribution provided by Mindset Wealth, in this new, live-action challenge. Four young people (aged 8 to 12) will be selected and transform BC seafood ingredients into mouth-watering, gorgeous culinary creations. Just like in the big leagues, there’ll be a twist ingredient the junior chefs must incorporate into their dishes. And what’s a competition without a race against the clock? The junior chefs will have just 45 short minutes to prepare a seafood masterpiece and win the judges over with their creativity, plate presentation and, of course, delicious flavours. The winner takes home the RESP prize AND bragging rights as the Junior Chef Champion! Open to any young person aged 8-12 years old. No fee to enter. Should have experience cooking with seafood/shellfish. Please create a short video (2-3 minutes) of your junior chef introducing themselves and showcasing what they have made. Kids, if you would like to enter, have your parent or guardian sign you up!